Hire a professional wedding band in Brighton to play the best rock, pop, soul and vintage music through the decades. Browse our roster of specialist Brighton wedding bands to find the perfect act for your big day. 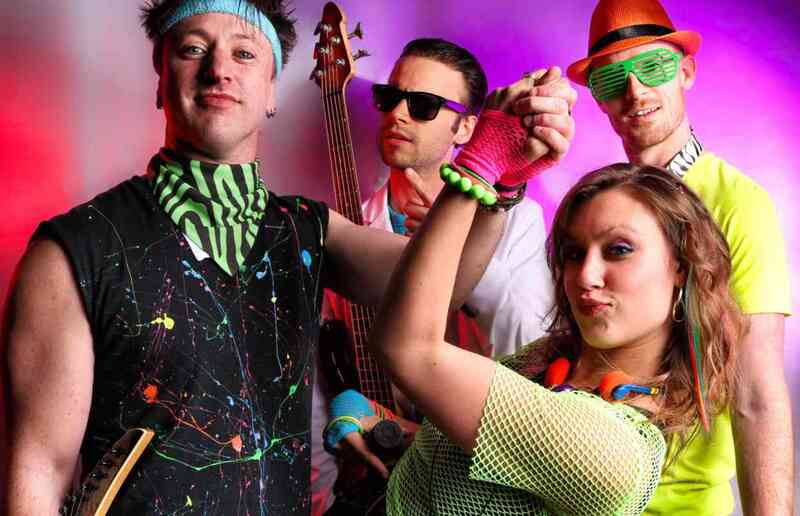 Incredible new party band taking the London events circuit by storm! Members of Shakedown have recorded and performed at Abbey Road and Glastonbury alongside some of the biggest artists in the world. Available with extra musicians up to a 10-piece band. Three-piece party band featuring female vocals, guitar and sax set to professionally mixed backing tracks for a full band sound. Extra drums, acoustic duo or jazz trio available. Energetic party band with an impressive list of pop, rock and soul hits from the 50s to the present day. This band have huge harmonies and a fantastic live sound. Keyboards, saxophone and male vocalist, acoustic duo and DJ set available! Slick and funky party band with male and female lead vocalists delivering knockout performances. These seriously polished musicians bring tight harmonies and bags of energy to your favourite funk, Motown, pop and rock tunes. DJ service and brass section available. Shake your tailfeathers and get your party swinging to this energetic skiffle band, playing classic rock'n'roll hits of the 50s and 60s. DJ service and afternoon acoustic sets (duo or 4-piece band) also available. Gypsy jazz band available as an instrumental trio or with additional female vocals. They embody the true spirit of Parisian Hot Club and perform a wide range of jazz standards and classics. Book for drinks receptions and early evening events. With explosive footwork, dazzling costumes, dynamic rhythms and a sensuality hard to resist this show is a true expression of flamenco at it’s best! Celebrity favourites Jump are a great value 80s tribute band boasting both male and female lead vocals, authentic costumes and a dazzling show! Additional DJ service also available. Fun, male fronted function band with an emphasis on 60s classics. Their song list also includes rock and pop covers with a britpop sound ranging from The Beatles to The Killers. Accomplished party and wedding band with joint male and female vocals, covering 60s Motown through to the latest chart-toppers. Hire the band as a trio (to playback) or as a 4-piece band (with drums). DJ service available. We have Brighton wedding bands available to hire for every occasion and pocket. Whether you’re looking for barn dance bands for a beach party or a funk band for a fortieth birthday party, we'll help you find a band to suit your taste and budget. And if any other agency offers you one of our bands at a lower price, we’ll match their offer! Our wedding bands have played throughout Brighton and the surrounding area, including Hove, Lewes, Shoreham, Worthing and Eastbourne. And they've graced popular wedding venues such as the The King's Hotel, The Grand (De Vere) and Stanmer House. What do our Brighton wedding bands play? Our Brighton bands for hire range from rock and pop 3-pieces to no-expenses-spared soul bands complete with vocalists and brass section, via spicy salsa bands and laid-back jazz wedding bands. They know how to make your wedding reception memorable and get even the shyest guests on the dancefloor. If you're after something more mellow for your ceremony or reception, we can provide that too. Book a string quartet to serenade you down the aisle, then hire a classical guitarist to entertain while your pictures are taken. You could ask the same musicians to perform at your evening party, as many of our Brighton wedding bands provide acoustic options or classical wedding musicians for the quieter moments in your day. Whatever Brighton wedding entertainment you choose, most acts will learn your special song or first dance, even if it’s a birthday party ballad by famous Brighton native Nick Cave or an anti-capitalist anthem by Brighton band the Levellers. Also see our East Sussex wedding bands.